Click on the Promote and Advertise link next to your book. 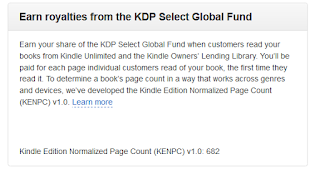 This link will only be available if you are included in one of the borrow programs which happens automatically when you join the Kindle Select program. 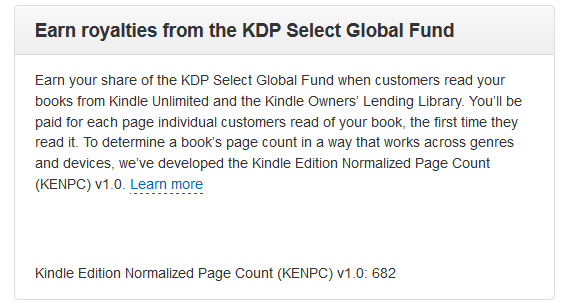 Look for the box titled "Earn royalties from the KDP Select Global Fund". Your page count will be displayed at the bottom of that box. Use this form to submit ideas, questions or issues that you would like to see addressed. Discrepancies in KENPC - Are They Real?